Well I thought I would jump in and get my first post up on this blog. After having a blog for years and never updating it on a regular basis my sister came up with this idea and I thought great, cause at least one of us will be posting for all to see. I am a mum of two boys and we love all the crafty things you can think of. My only dilemma is there are no girls. I am the only female in a land of boys, so I have no girly girls that need pretty dresses and pink quilts. I am lucky, however, to have 5 nieces so I can make girly things and use them as my excuse. I mainly quilt these days and after working mothers day I decided to come home and sew, or should I say quilt. I have many projects on the go at the moment and there are four quilts in that UFO pile. Two queen size, one single and one baby quilt. 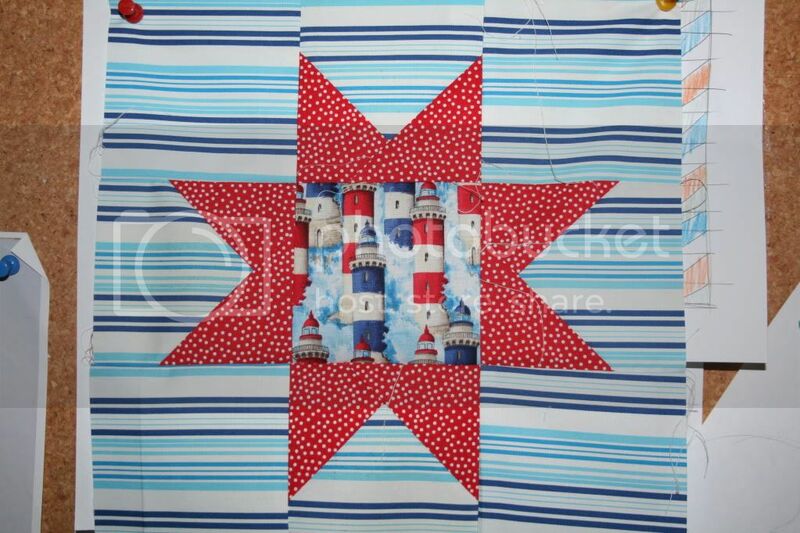 So what else do you do but cruise blogs for ideas and start another few quilts to add to the pile? This blog is one I love to view and get inspiration from as many times as I can. I Love it. So on mothers day I sat down and made two blocks from this tutorial. All I can say is wow. The tutorial was so easy to follow and I am super happy with my blocks. 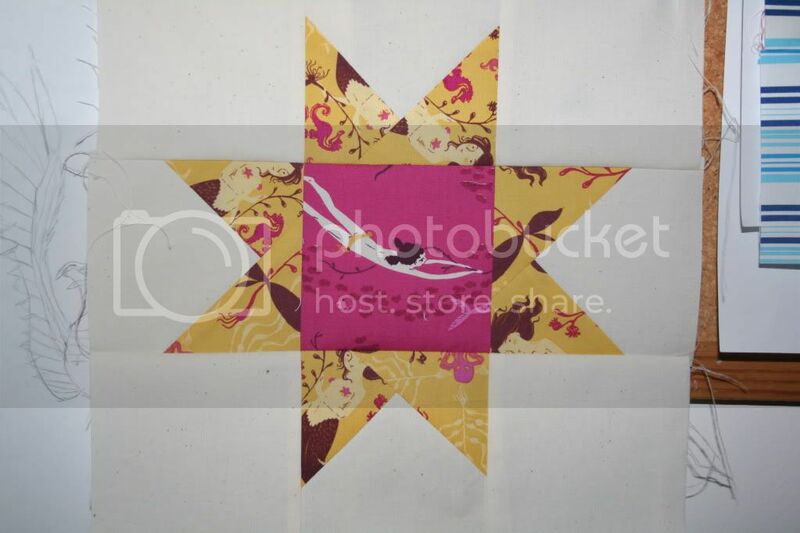 I used a fat quarter that I picked up from spotlight for this one and some other fabrics in my stash. This second one is my fav. I used Heather Ross fabric that I have and love. I have since picked up more fabric to make this into a lap quilt and can't wait to get started. Anyway better get onto these new blocks so I have some more pictures to show.